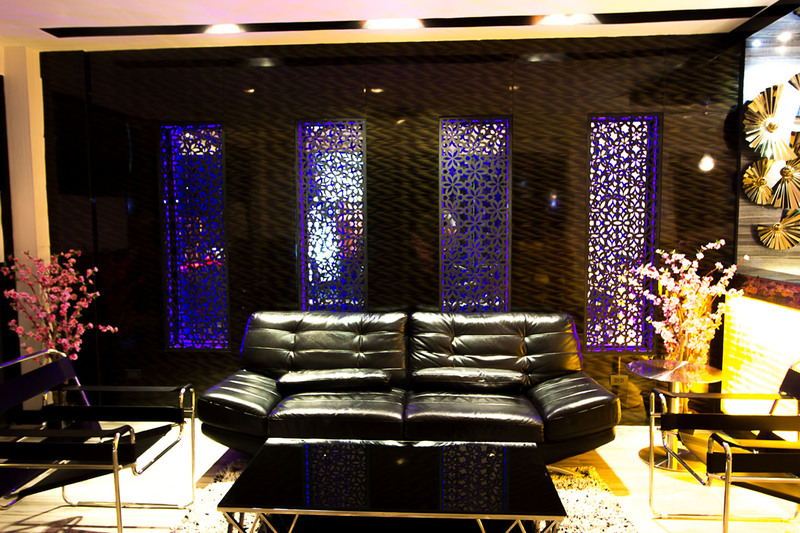 This luxurious accommodation promises a peaceful stay with AC rooms and comfortable beds along with two pillows. 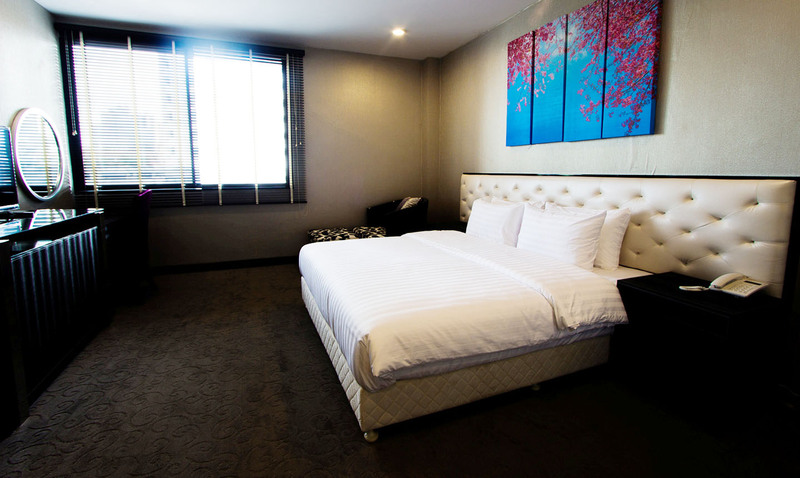 By staying here in the heart of Sukhumvit, you will enjoy easy access to various restaurants, pub and entertainment areas. Highly recommended for solo traveler looking for a budget-friendly stay. 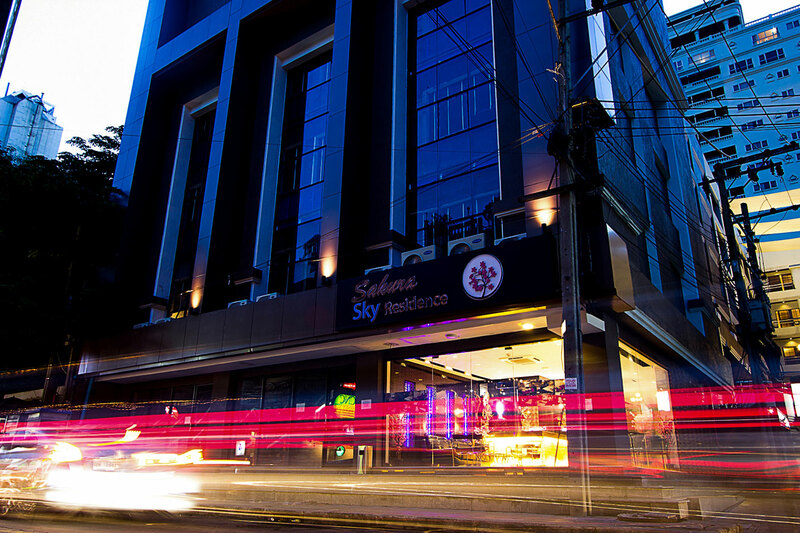 Sakura Sky Residence Bangkok is a 3-star accommodation facility, located in Sukhumvit district of Bangkok. 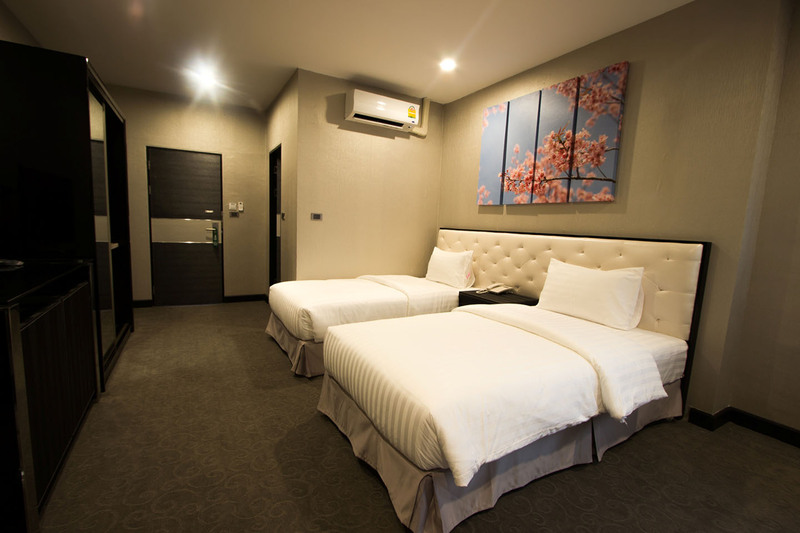 This hotel offers a plethora of services and facilities to its guests, while its convenient location provides the opportunity to easily access the must-see destinations of Bangkok. 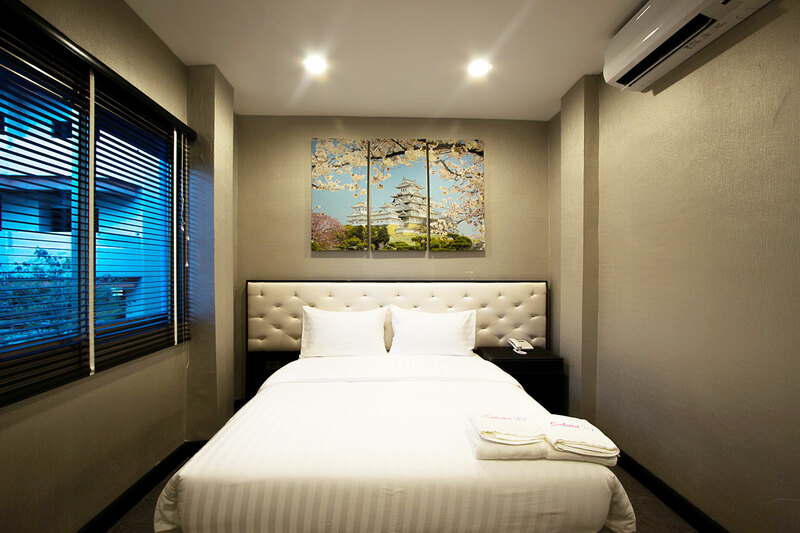 Sakura Sky Residence is ideal for corporate guests as well as leisure travelers who are looking for a comfortable shelter. 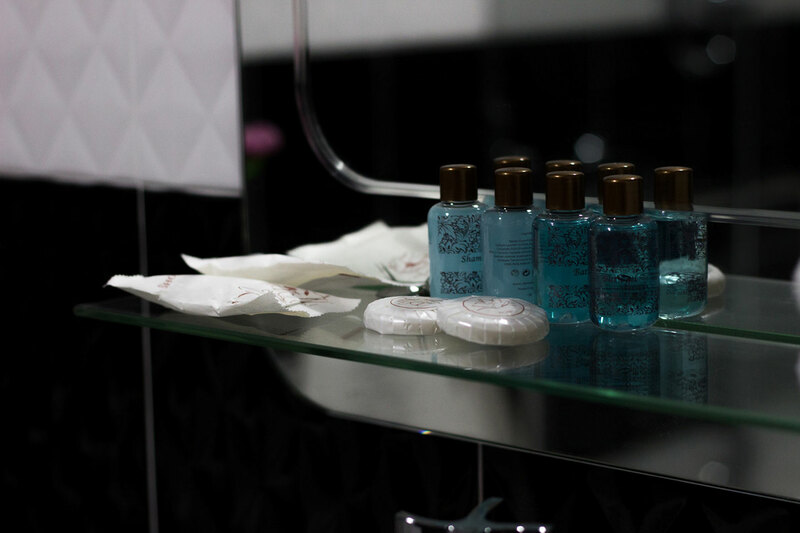 This boutique hotel is an instant-favorite among people who wish to avail some top-notch service along with a convenient stay. 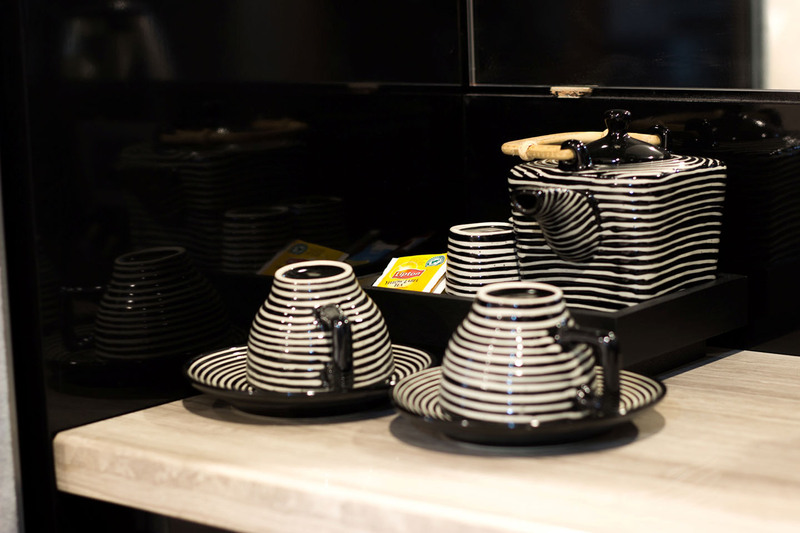 The proximal distance of this hotel from famous shopping places such as Terminal 21 Shopping Mall and Central World, further adds to a delightful experience for shopaholics. 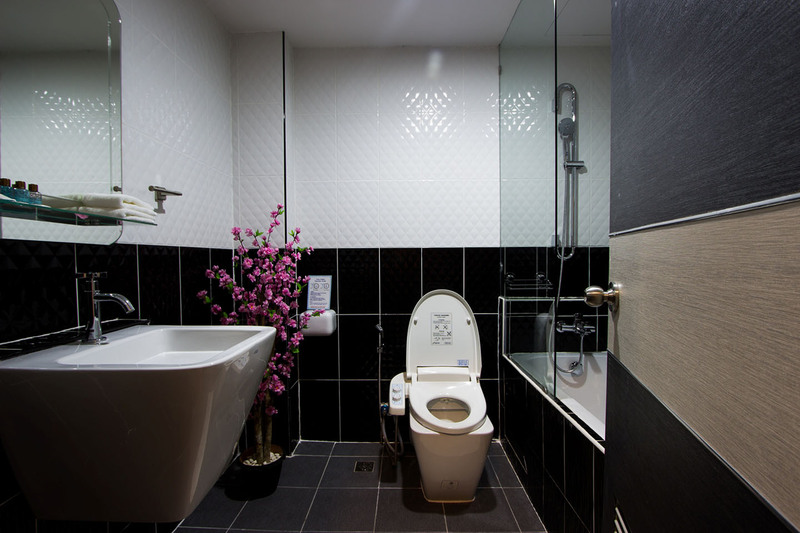 The various amenities offered by Sakura Sky Residence Bangkok ensure to provide the highest degree of comfort and convenience to the guests. 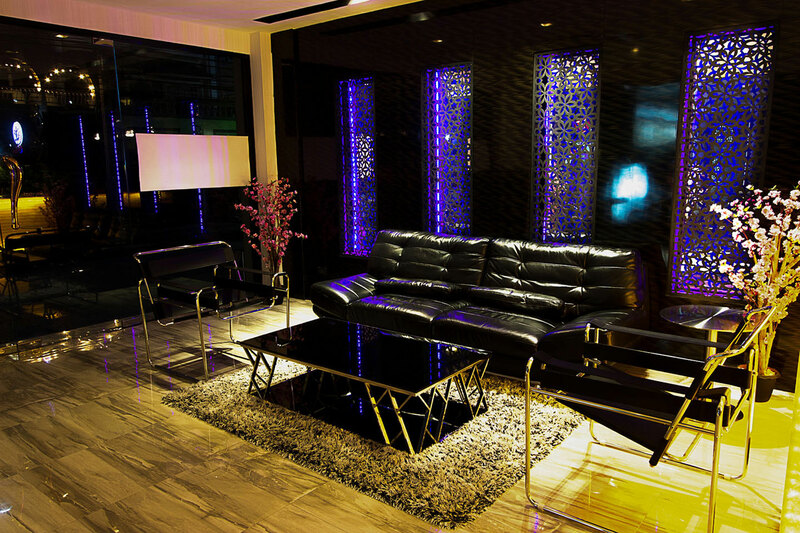 Sakura Sky Residence Bangkok houses a total of 64 luxurious and modern furnished rooms. 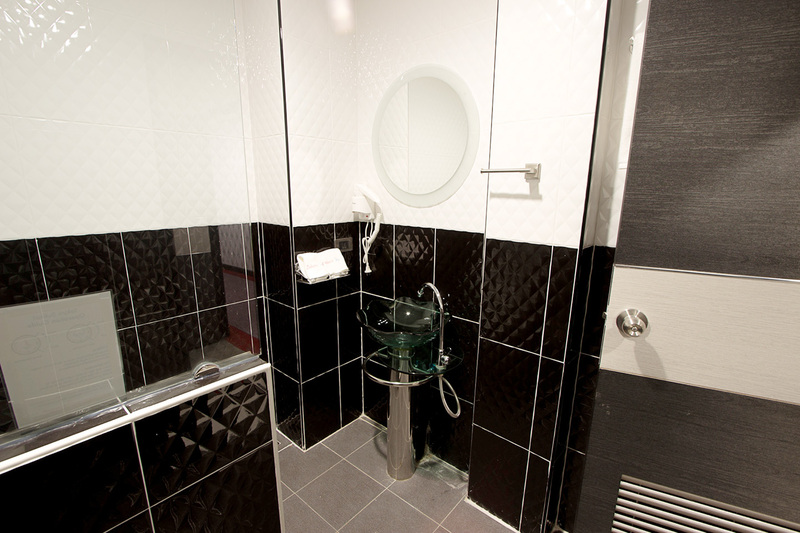 The accommodation options in this hotel are divided into 4 categories to choose from. 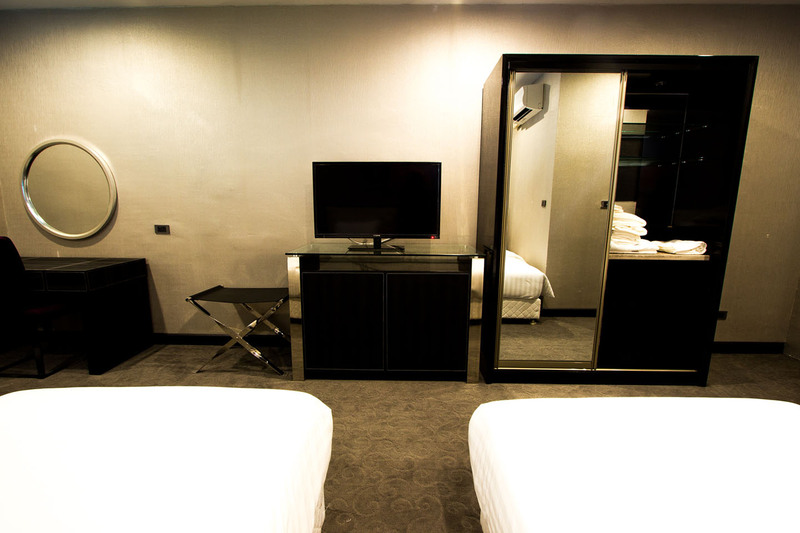 They have the options of Economy Room, Standard Room, Deluxe Room, and Superior Room. All the rooms are well-equipped with basic amenities that include an air conditioner, 40-inch flat-screen, mini-bar, private bathroom with free toiletries and separate seating area. 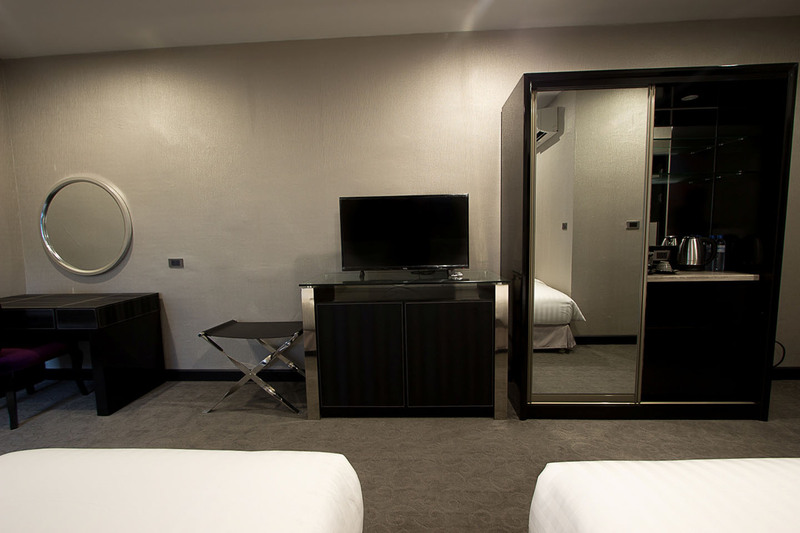 Further, guests can access free unlimited Wi-Fi while taking accommodation in any of the aforementioned rooms. 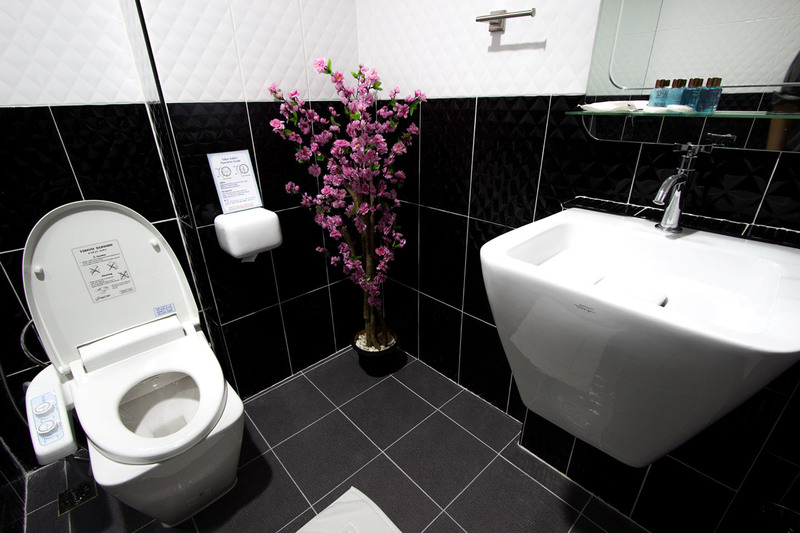 Sakura Sky Residence Bangkok features a number of facilities and services that ensure a comfortable stay to its guests. 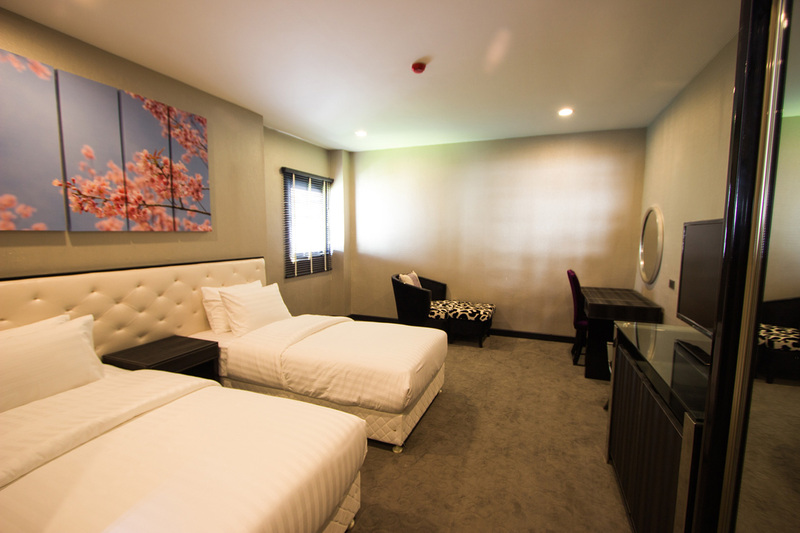 While staying at this accommodation facility, one can avail the room service offered by the hotel. Further, the hotel maintains a parking area nearby, 24-hour front desk, cash withdrawal counter, concierge service, and 24-hour security. 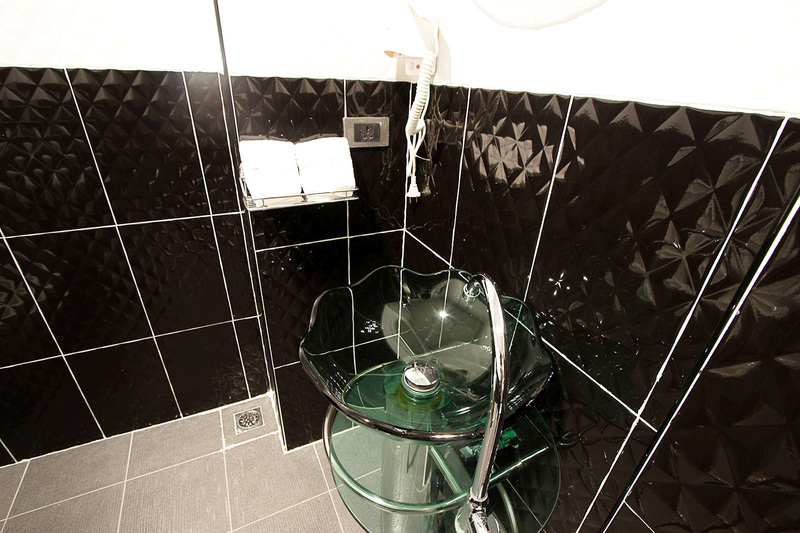 The hotel proudly boasts of its wheelchair accessible infrastructure. 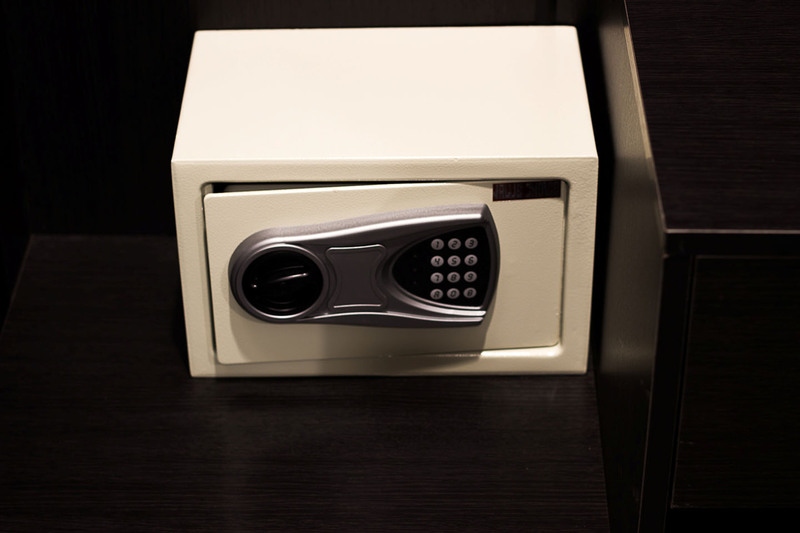 For the convenience of business travelers, the hotel provides complimentary Wi-Fi. 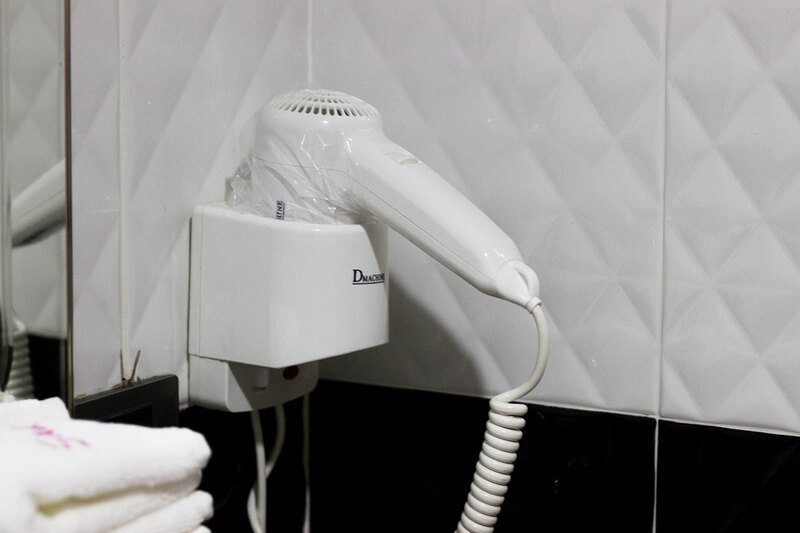 The tastefully designed rooms of the hotel are equipped with a plethora of modern-day amenities including air conditioner, private bathroom, 40-inch flat-screen, and a working table. One can have an exceptional culinary experience while lodging at Sakura Sky Residence. Guests can relish a great selection of food in the favorable tropical climate of Bangkok and exploring the local culture of the place. Oam Thong Restaurant, Sue Non-Kin, and M & J Restaurant & Bar are some famous restaurants near the hotel which serve delectable Thai cuisine made from fresh and local ingredients, including chilies, lemongrass, and not to forget seafood. 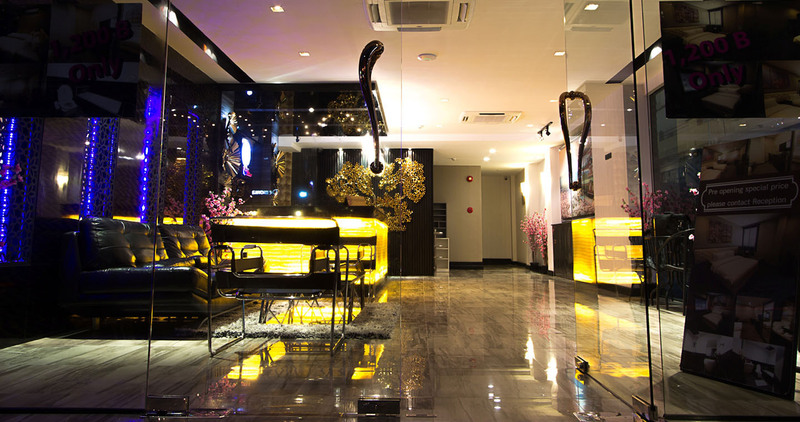 Further, guests can enjoy exotic Asian cuisine at Ruan Songnaree, Lemon Grass and Soba Juban, located near the hotel. 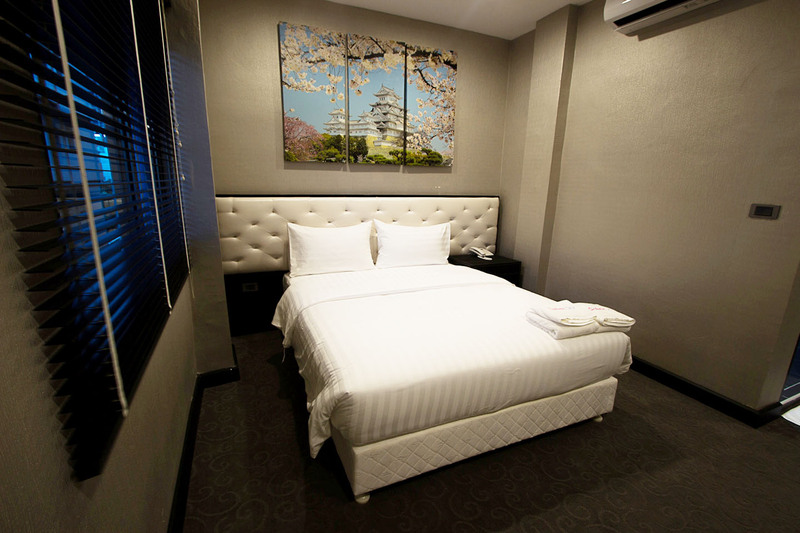 Sakura Sky Residence Bangkok offers a truly comfortable stay to its guests. 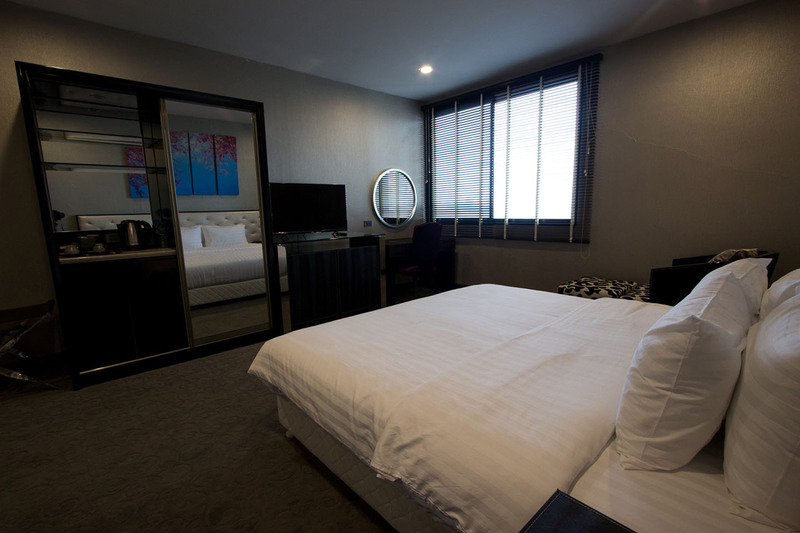 The elegant rooms of the hotel are designed with modern furnishing and come with various in-room amenities, thus making them ideal for solo travelers as wells as couples and family travelers. 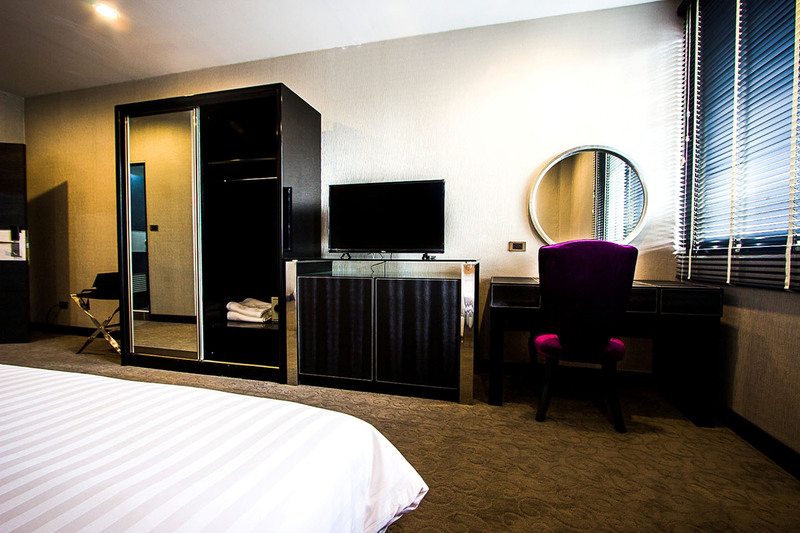 The strategically close location of the hotel from places like EmQuartier, Terminal 21 Shopping Mall and Central World makes it a suitable accommodation for people who wish to explore this shoppers heaven. 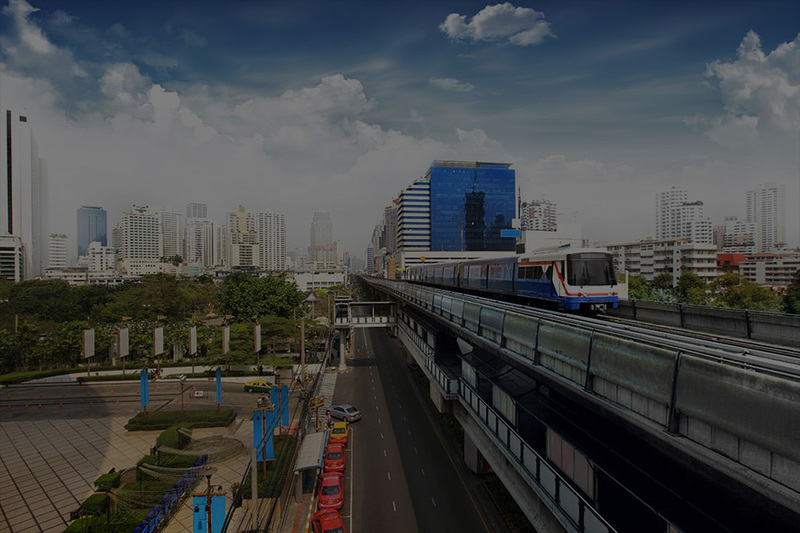 Further, Sakura Sky Residence is just a short 7-minutes walking distance away from Phrom Phong BTS Skytrain Station, which helps the travelers to easily access the various locations of Bangkok. How much is the distance between Sakura Sky Residence and the International airport? 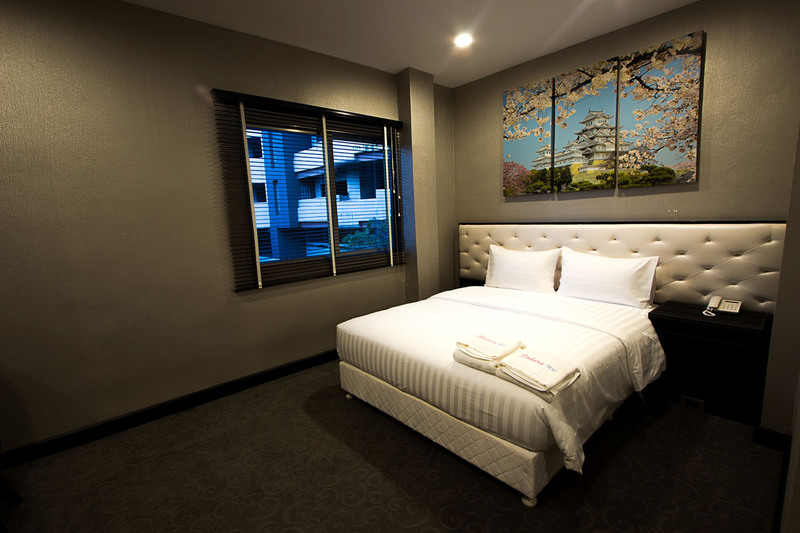 Sakura Sky Residence Bangkok is approximately 20 km away from Suvarnabhumi International Airport. Does Sakura Sky Residence offer daily maid service? 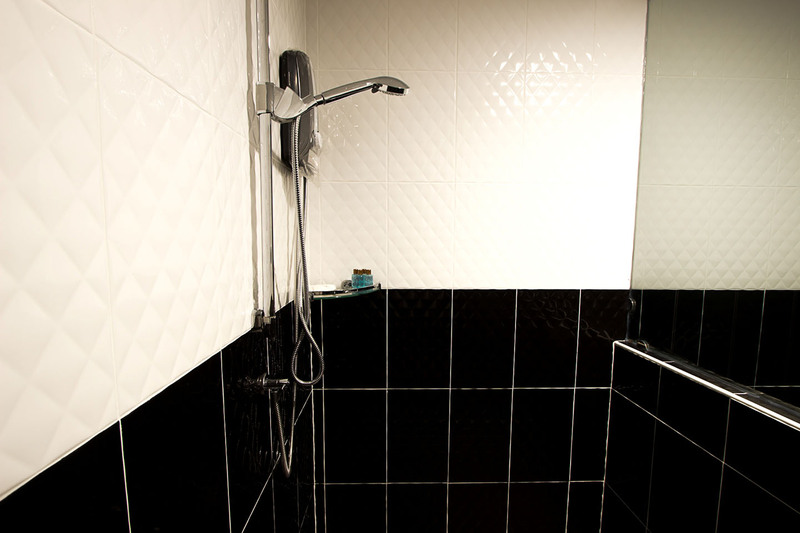 Yes, the hotel provides daily maid service to ensure a clean and hygienic stay to its guests. The convenient and central location of Sakura Sky Residence offers many options to have a delightful experience. For a unique shopping experience, travellers can head to the nearby located shopping malls the Emporium and the Emquartier. 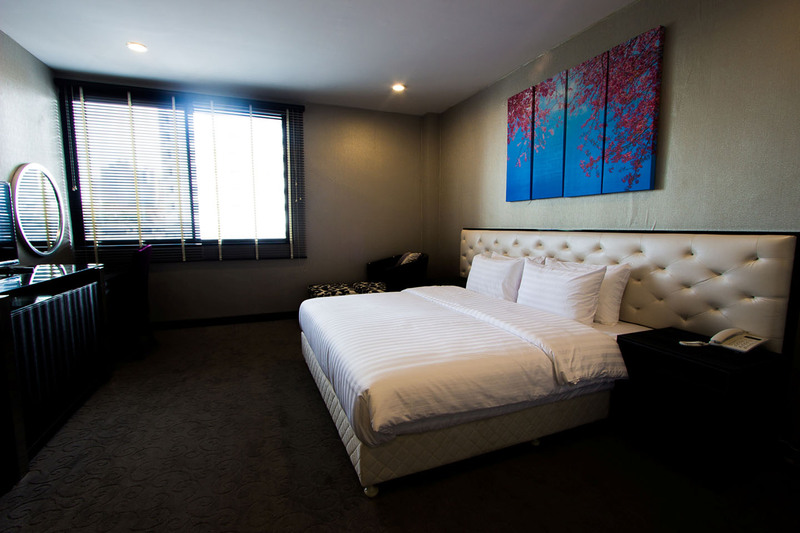 People can also easily access popular tourist destinations from this hotel as it is closely located to Phrom Phong BTS Station and Asoke BTS Station. 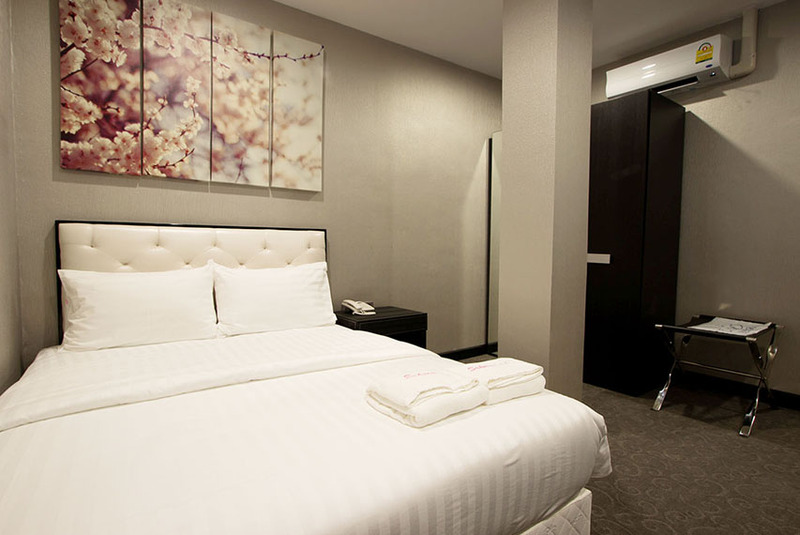 Does Sakura Sky Residence maintain 24 hours front desk? 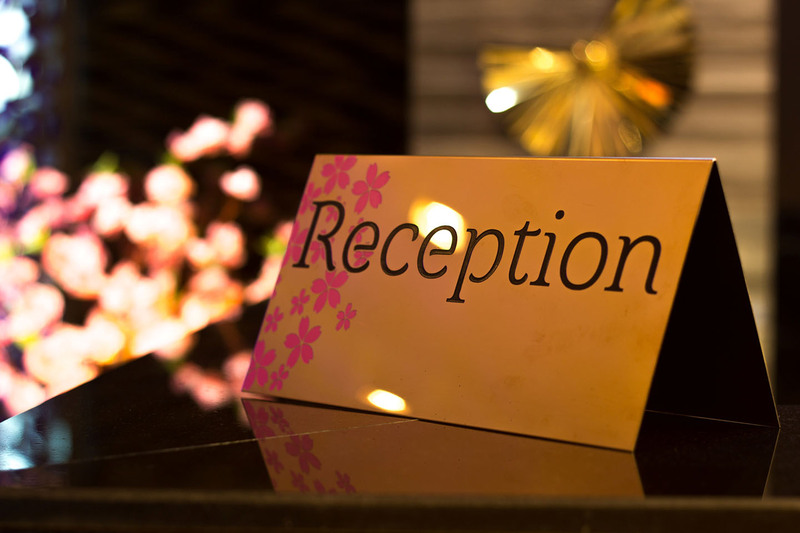 Yes, the hotel maintains 24 hours front desk, for the convenience of guests. 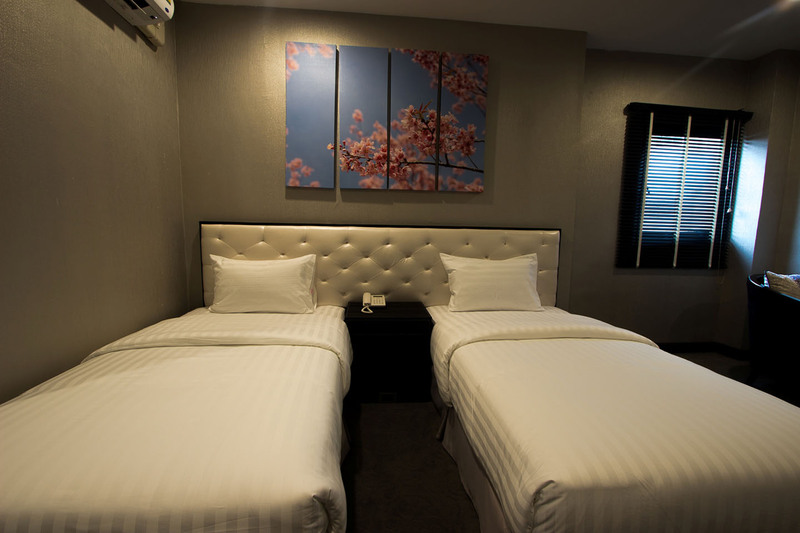 What room option can guests choose from at Sakura Sky Residence? 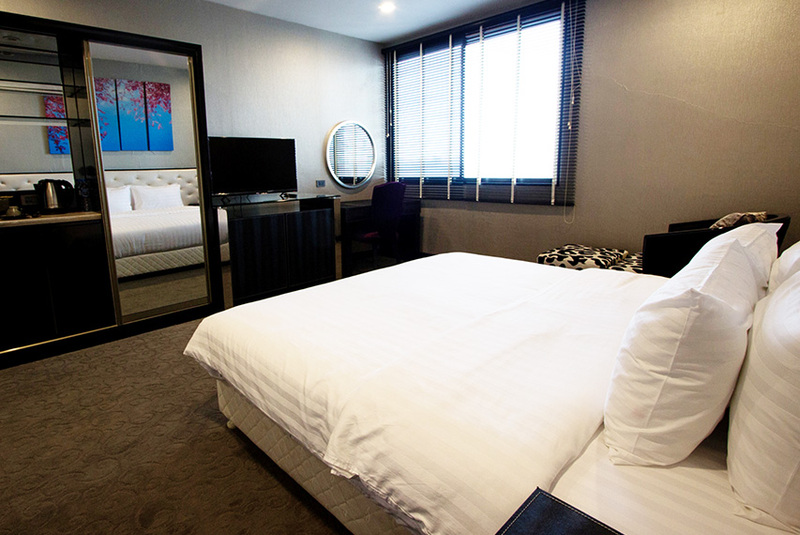 Guests at the hotel can choose from Economy Rooms, Standard Rooms, Deluxe Rooms, and Superior Rooms. 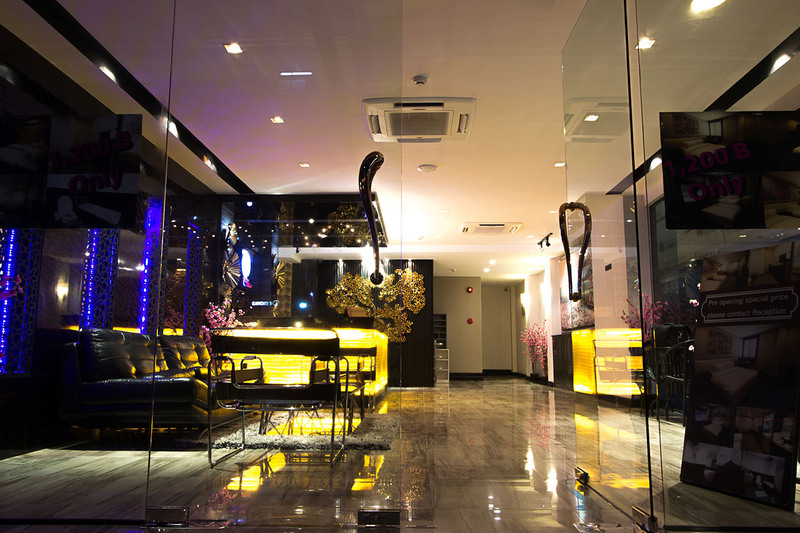 Sakura Sky Residence Bangkok offers a unique and majestic experience to its guests. 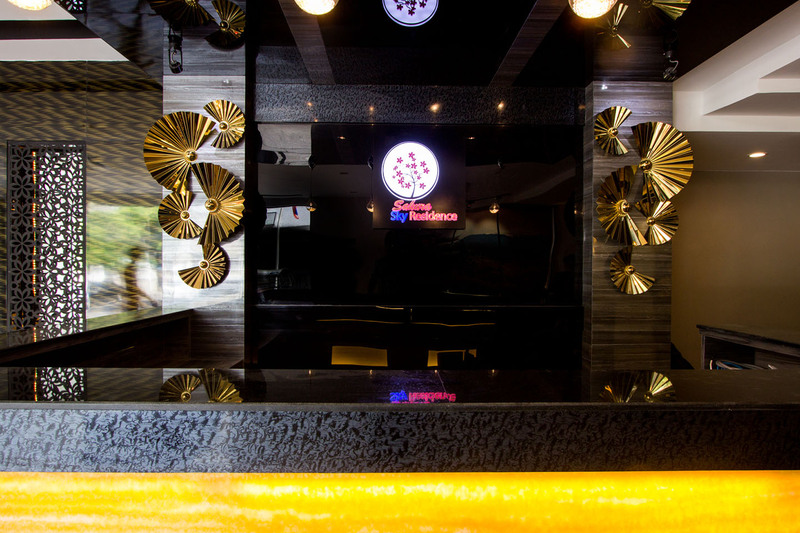 The hotel is ideal for people who wish to explore the rich and vibrant culture of Bangkok, while staying in a hotel where they can relax after a tiring day of exploring Bangkok. 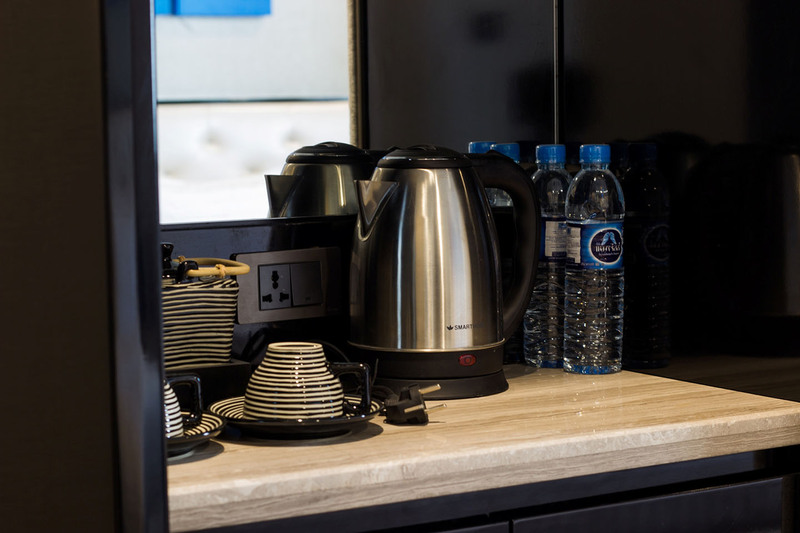 Whether it is the housekeeping service, laundry facilities or concierge service, the hotel caters to every need of its guests. Dining at the various restaurants near the hotel is a golden opportunity for guests to gorge on various international and Thai delicacies. 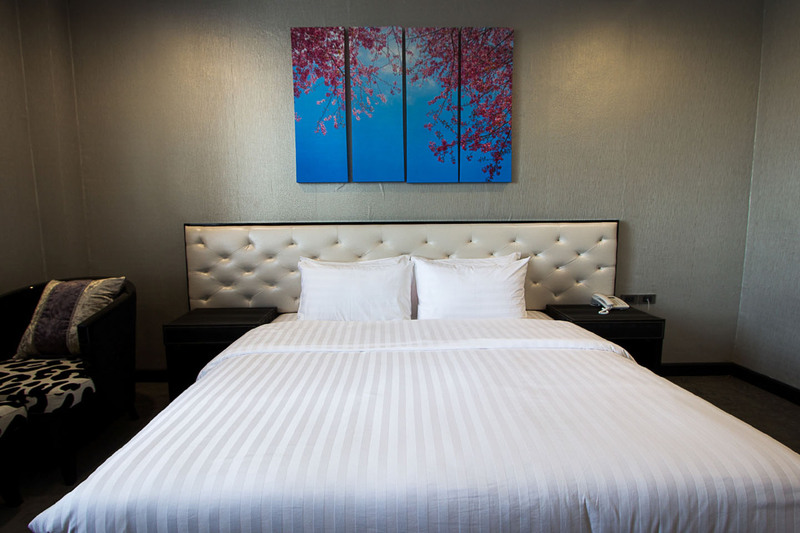 The main intent of a stay at the Sakura Sky Residence Bangkok is to make its guests feel rejuvenated and the accommodation of the hotel combined with a plethora of facilities truly ensures that. 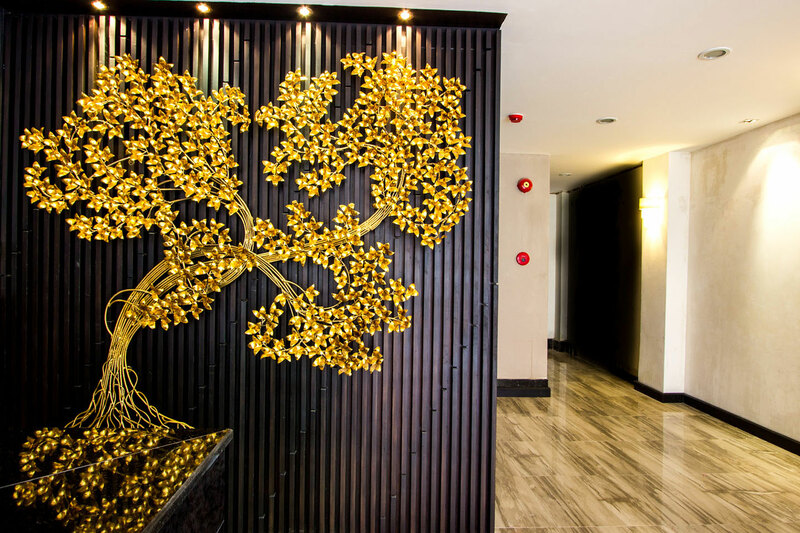 Guests staying at the hotel will find it easy to access a number of major tourist attractions, including Temple of the Golden Mount, Bangkok City Pillar and Grand Palace. 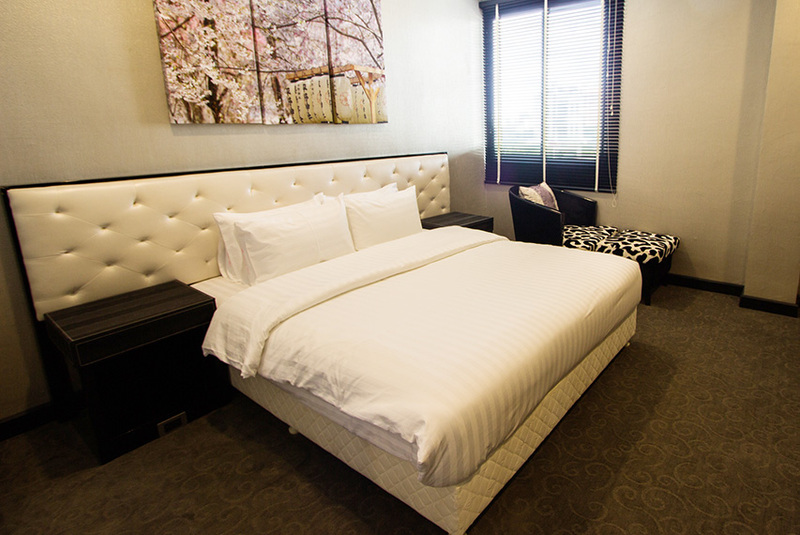 People who wish to experience luxury on a budget should definitely book their accommodation at Sakura Sky Residence.